Jeju, a beautiful and well-known touristic resort island has recently become one of the top controversial issues in the country. The number of refugees fleeing the civil war in Yemen and seeking shelter on the Island through its visa-waiver program rapidly increased in the year 2018. Jeju's tourist-friendly visa policies, making it one of the few places that did not require advance visas for Yemenis, created a chance to enter the island without any obstacles. 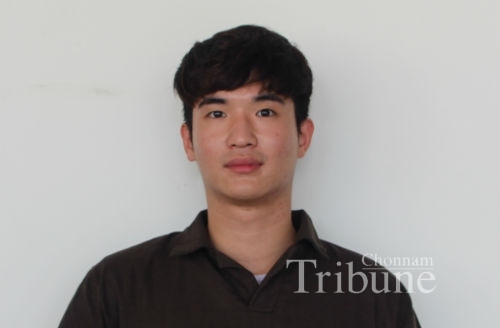 The Chonnam Tribune has interviewed some students on this issue and asked their opinions as below. Do you know about the Yemeni refugee issue? 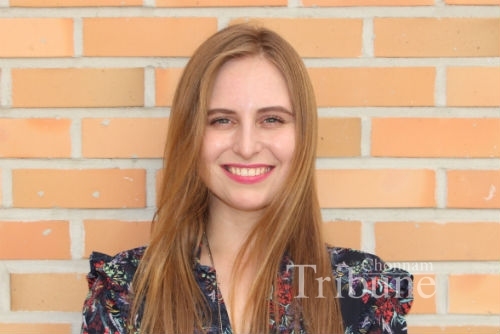 Renata (Lithuania): I read some news about more than 550 Yemeni refugees who came from Malaysia to Jeju because these were the two places where they could enter without visas. It has caused debates and conflicts among many Koreans. I think it was a big surprise for Korean people to see asylum seekers coming to Korea asking for shelter because basically, Korea is a mono-ethnic country. 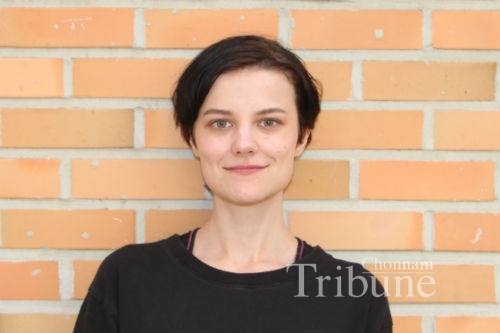 Maja (Finland): I have been following immigration situations a lot in Europe. I once read one Korean person saying “We should learn from European mistakes.” Because they welcome refugees without any background checking, criminal records and due to this crime rates have gone up a lot. Some countries have changed a lot because of refugees and there are not strict regulations yet. Jin-gam (Korea): It is well known that some Muslim countries pay relatively less attention to women’s rights. In most cases, when vulnerable women are physically attacked by men or their own family members, most people bury their heads in the sand or consider it as a very normal thing. Actually, there was an incident that a woman was raped by asylum seekers even at a public place in Germany. After the incident, many people started questioning whether it is possible to control refugees and asylum applicants. I think we should approach the Yemeni refugee problem in a more sincere way. Sana (Morocco): I heard about the Yemeni refugee issue from mass media first. Then I searched more about it because of the big debate caused by more than 250,000 Korean people signing a petition to the Blue House. My Yemeni friend studying here at CNU told me about the war in Yemen and how difficult it was to arrive to study here. 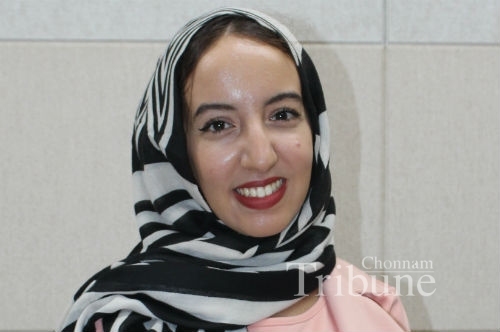 In this case, they have been put in difficult circumstances in order for them to choose to leave their homes and loved ones and come to Korea as refugees. What do you think about the refugee problem? Renata: Why we must be so critical about this issue is because most of the refugees come to live on the government's budget by not working and lazing around. As an example, Lithuania is a small country compared to England, France, and others. If they have a chance to choose Lithuania or Finland, they would definitely choose the one with higher standards of living, because they can enjoy more support even if they do not work. Even refugees who came to Lithuania are already gone now because they got disappointed by a low salary even though they had a good job. Maja: No country can accept an infinite amount of refugees, due to a lack of space to host them. The government should also make sure that they are financially capable of creating a place for them to live in. The problem is also that many refugees clash with each other and there are riots arising between them too. Jin-gam: I think it is somewhat necessary to provide proper assistance such as medical treatment, supporting food and water to those in need and it is somewhat necessary on humanitarian grounds. However, I am basically in a position to contest the acceptance of Yemeni refugees in Jeju because there are cultural differences between the two countries, there is the limitation of offering enough living spaces and many other problems. We also should look into more long-term measures to prevent serious consequences such as the German case mentioned above. Sana: Considering the scale of horror war that started in 2015, the life in Yemen has become unbearable from the deprivation of water and electricity to the starvation of families and children because of the lack of food. In my own view, we all need to take some responsibilities whether it be by providing financial aids or by providing other support based on universal human rights. Above all things, supporting assuring them by providing their right to have a better life is one of the most crucial parts. What should the Korean government do? Renata: Looking at European experiences we should be very critical and careful about this issue. At first, the government should give them an opportunity because they are already here and these refugees cannot be deported back to their home either. On the other hand, we have to apply strict regulations because we do not know how many people come with a sincere mind to work and live peacefully. Maja: The government needs to make sure that you know who they are by a background check and criminal records. Because a lot of people also take advantage of others' kindness by disguising themselves as refugees or poor people, it is easy to play with others’ emotions. We should also make sure that these people can settle down peacefully and adapt to the atmosphere easily, not changing others but trying to adjust themselves to society. Jin-gam: In the case of Jeju Island, it has an unusual system called ‘visa-free program’ for 30 days adopted by the island. Recently, refugees who are taking advantage of the program have rapidly increased and what started as a temporary refugee influx on Jeju before has become a long-term humanitarian problem. At this point, I think the Korean government should tighten security conditions around Yemeni settlement to assuage people’s wary about safety. In particular, gun and drug control should be strictly enforced. Sana: Though the refugee issue is a very challenging mission, I think the Korean government should handle this crisis in a smart way. First, they should prioritize the rights and security of Korean citizens. But at the same time, they should have some clear policies and guidelines regarding the refugees that will help them to integrate into Korean society and culture. In addition, Korean society has become more and more multinational nowadays. So, the government should better educate the public about the refugee issue and emphasize the tolerance between Koreans as well. 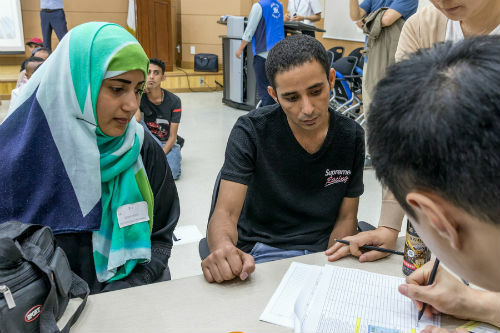 A few Yemenis reached Jeju in recent years to make claims for refugee status in South Korea and the asylum seekers issue in Korea happened for the first time. However, as a recent poll showed 49% of South Koreans were opposed to accepting the refugees, while 39% were in favor of accepting them. Although some Jeju residents came in handy to asylum seekers donating food, clothes, and free medical check-ups, other Koreans are fighting against accepting the refugees claiming that they are ‘fake' refugees who only want to become immigrants or spread the Islam religion. The Korean government and residents are not sure what steps must be taken yet. Strong regulations, strict rules and also assisting refugees to mingle among locals would be a golden key to tackle the problem.